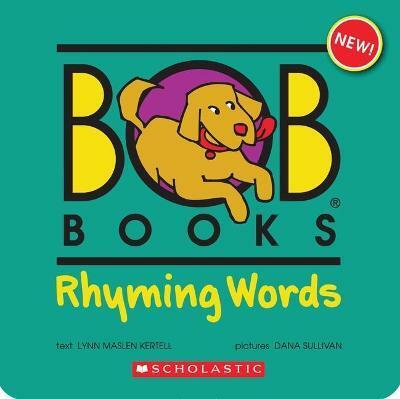 Bob Books is back with a brand-new box about rhyming words! Perfect for beginning readers, this boxed set includes ten mini-books and thirty puzzle flashcards which focus on rhyming words. Recognizing rhyming patterns helps students build their reading vocabularies. This new Bob Books box is perfect to use alongside Set 1: Beginners and the Sight Words. In typical Bob Books style, these mini-books have friendly illustrations and silly stories. Lynn Maslen Kertell is the current manager of Bob Books and the author of Bobs Books: Sight Words Kindergarten and First-Grade. You can visit her and learn more about Bob Books at www.bobbooks.com.